Conservatives Of The Upstate: Don't worry, it's not a fine … yet! 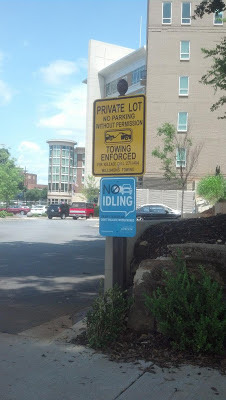 The most recent Ten At The Top newsletter proudly pointed out that the City of Greenville has completed installation of signs throughout the downtown warning car owners about idling. Don't worry, there's no fine … yet.